Following months of sustained revenue growth, the casinos in Macau missed the expectations for May. In May 2018, the casinos in Macau took in $3.16 billion in revenue, which was not only slightly below April’s revenue of $3.20 billion in revenue but it also missed the experts’ predictions of a 16 percent to 20 percent increase in revenue for the month of May. 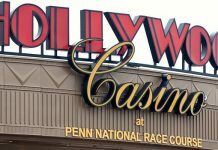 The problem with a revenue decrease is the casinos have reported an increase in profits each month for the last 22 months despite a crackdown on illegal gambling and profiting from illegal gambling. The Chinese government is asking the casinos to offer more incentives to clients, especially the high rollers, who account for more than 60 percent of gamblers. Stocks in the largest Macau casino companies, such as Wynn and MGM, fell on the news the revenue did not meet projections. 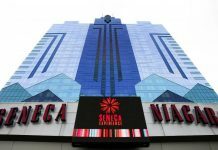 The companies have not offered reasons for the downturn as yet, but the loss of high rollers may be the reason the casinos did not meet expectations. The Macau casinos are currently the only legal casinos in China, perhaps partly because Macau is seen as a separate entity from China. Like Hong Kong, it has operated as an autonomous region since 1999. Gambling in Macau has been legal for more than 150 years when the area was under the control of the Portuguese government. For decades, people have seen Macau as a gambling and tourist destination. Interestingly, the largest percentage of visitors to Macau are mainland China residents, as well as people from Hong Kong. Until the 20th century, gambling was restricted to Chinese games, such as Fan-Tan. 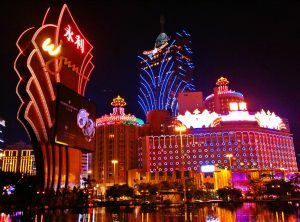 However, Western games began to be played in the 20th century so Macau could continue to compete with casinos in the United States and Australia. Macau offers casinos, racing (especially greyhound racing), and sportsbooks. By far, gambling tourism makes up the largest source of revenue in Macau’s economy. It accounts for more than 50 percent of the region’s revenue. 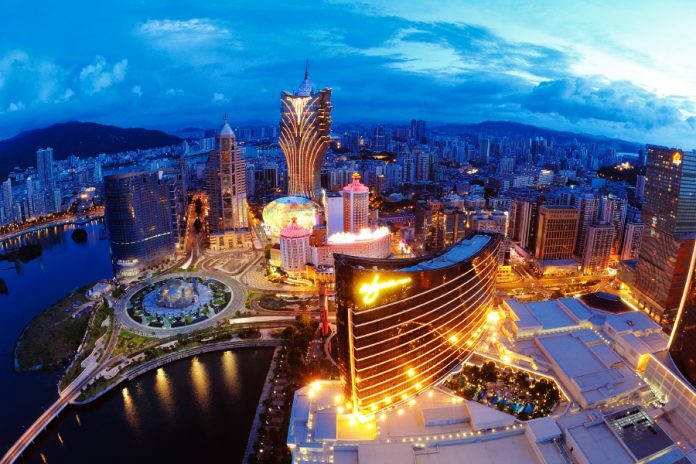 Macau has more money flowing into it from gambling revenue than Las Vegas or Sydney. While this is seen as profitable for Macau, it is also dangerous because the area is not diversified in its economy. That means any downturn in the economy could mean a loss of jobs or income. Macau has 38 casinos. Twenty-eight are located on the Macau Peninsula and the rest are on Taipa Island. Plans are being made to expand the reach of the casinos to Cotai as well, which will increase the number of casinos in the area. All the casinos offer roulette, Sic Bo, Fan-Tan, blackjack, keno, baccarat slot machines, and boule. While all the casinos offer roughly the same thing in terms of the games played, they differ in the amenities they offer. Many of the casinos have additional amenities for the high rollers who come to gamble, which include special VIP gaming rooms or special suites in the hotel, as well as limousine service to and from the airport. If the casinos on Macau are experiencing more than a blip with regard to revenue, it may present a problem for the area. Reports have indicated that some of the high rollers who originally were gambling on Macau may be looking for new places to spend their money. If that is the case, the Macau casinos are going to have to introduce new games, jackpots or tournaments in order to keep the high rollers interested. If not, the territory could lose out on revenue for a number of months to come.